Some modified tools. The Armstrong is third from the right. It caught my eye from a shelf of old tools in an antique store: a cut-down wrench about four inches long, an Armstrong wrench as it turned out; good steel, nice heft and fit in the hand. Half-inch open-end. It reminded me of tools my father and I cut down and modified decades ago to work on my old 1972 VW Super Beetle. One of them, a 1/2-inch Craftsman box, was for removing the carburetor. We cut about a third or so off a combination wrench and ground down the outside of the box to fit the pesky 13mm nut hiding between the intake pipe and the engine fan housing. Dad took the ragged edge of the box wrench handle to the grinding wheel and smoothed it off perfectly. 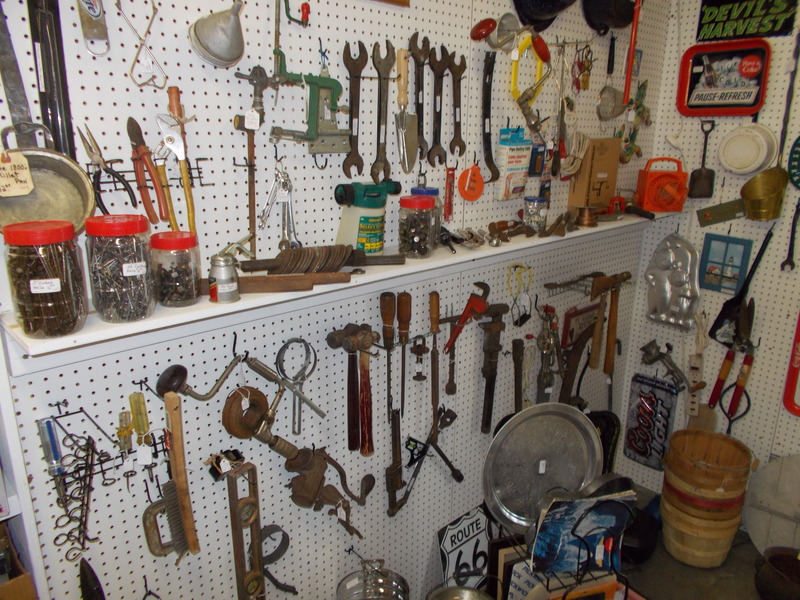 The Armstrong reminded me of that wrench and as I toyed with it absently I started looking at the other items on the shelf. There were about two dozen mechanics tools, wrenches, pliers, ball-peen hammers with wood handles seasoned with sweat, and plastic jars of hardware – bolts and nuts, finishing nails, and other stuff. 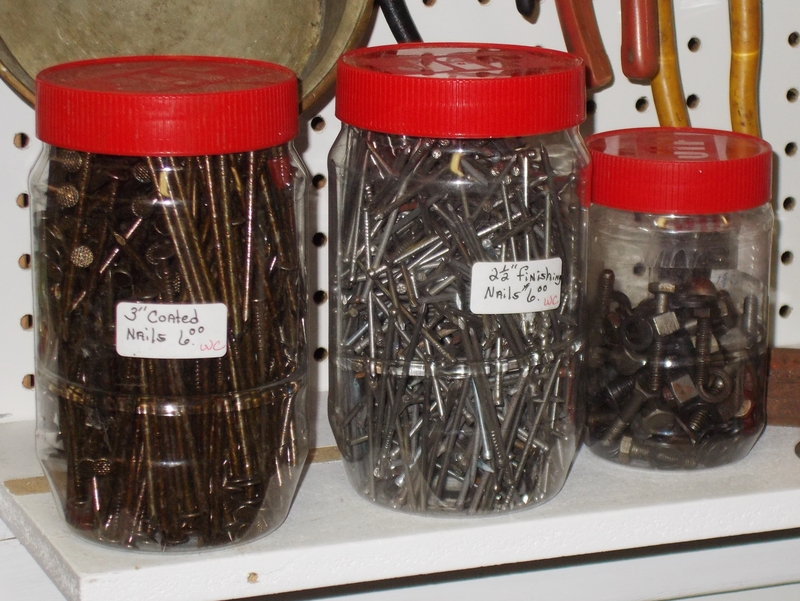 It was the perfection and uniformity of the jars – old Jif peanut butter jars that were immaculately clean – that made me realize that most of these items had been taken en masse from some guy’s garage or workshop. Some guy who was probably now in a nursing home or no longer alive. And I started wondering about that guy, who he was, where he worked. I could imagine him cleaning out those Jif jars, removing every bit of old peanut butter, cleaner than his wife’s dishes, and carefully filling them with bits of machined metal. The jars had labels, applied by the antique seller; the owner didn’t need labels, he could see the hardware and he knew what it was. And what happened to the owner, what brought all his beloved tools to this store for strangers to paw through? Is this all we can look forward to, that all of our tools and books and special things will someday be found in a place like this? Didn’t he deserve better than this? I ended up buying the Armstrong for three bucks along with a sad little Canadian Fuller 1-inch wood chisel that I can sharpen and use around the house. Days later, I learn from a query on Garage Journal.com that the Armstrong is a machine shop or engineer’s wrench, specially made for use with machine tools. “They’re not good for anything but tightening a nut or bolt on the machine they’re used for,” wrote a respondent. “They’re used so some employees don’t steal them and take them home.” I love that observation. No matter. The Armstrong and chisel will join that 1/2-inch Craftsman box, one of many tools I can’t bear to part with, tools that Dad gave me, and my Uncle Robert, and Dad’s cousin Cyril in Slovakia, and Wendell’s father, Van, and a few others. 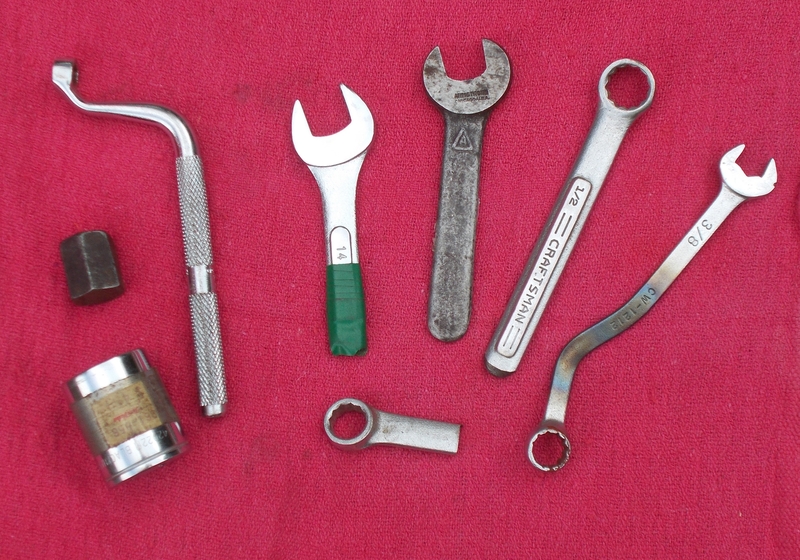 Tools that will inevitably end up in someone’s second-hand store one day. Until then, I’ll use them and enjoy them and sometimes think about their histories. And of the guys who owned them. Even the guys I don’t know. It seems to me that the best way to honor those memories and the prior owners is to add your own memories to the tools and think of someone to pass the tools onto when the time comes. We can leave a “legacy” in so many different and little ways!